This item is a genuine Dyson part for select models of DC40ERP, DC41ERP, DC42ERP, DC50ERP, DC55ERP, ..
Genuine Dyson cleaner head assembly for Dyson DC41 model vacuum cleaners. Not suitable for ErP mo.. Compatible replacement vacuum cleaner brush bar for Dyson DC41 models. Not suitable for the DC41 .. Compatible replacement brush bar for Dyson mini turbine tool. Suitable for Dyson models .. 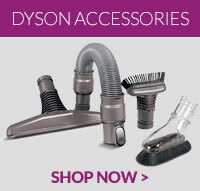 This item is a genuine spare part for select models of Dyson vacuum cleaners ..